When I was in my early 20’s, I shared a tented camp for many months in Kenya’s Maasai Mara with my first husband, a filmmaker. We lived a very local life amongst the Maasai. One day, as I was tending to chores in our al fresco kitchen, I looked up to see a very tall, older man approaching on foot with two Samburu youths. No one was ever seen walking in the Mara with the exception of the Maasai, themselves, and us who had been given permission by the warden to move around on foot. I welcomed the trio to our campfire and was introduced to the great Arabian explorer, Wilfred Thesiger. After having spent much of his life walking through Arabia, he had come to spend his later years in Samburu in the north of Kenya. Subsequently, I read Thesiger’s masterpiece, Arabian Sands, and devoured his autobiography, The Life of My Choice, as well as his book on the Marsh Arabs. A good writer, Thesiger was also a wonderful photographer and his gorgeous black and white photographs of worlds that no longer exist captured my imagination. The Empty Quarter and the soaring reed houses of the marsh Arabs of Southern Iraq were the standouts, for me, in his book, A Vanished World. 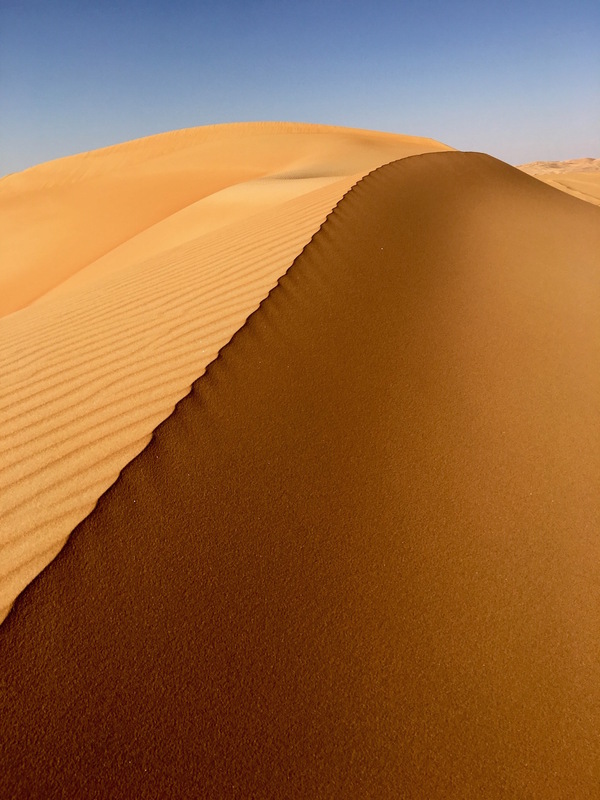 The latter are gone, I am told, but the Empty Quarter – a vast desert of fine sand and soaring dunes, is very much there. On my bucket list for years, I have just spent two nights marveling at its beauty. The Empty Quarter exists primarily in Saudi Arabia, but Yemen, Oman and UAE each share a part of this vast sea of sand. 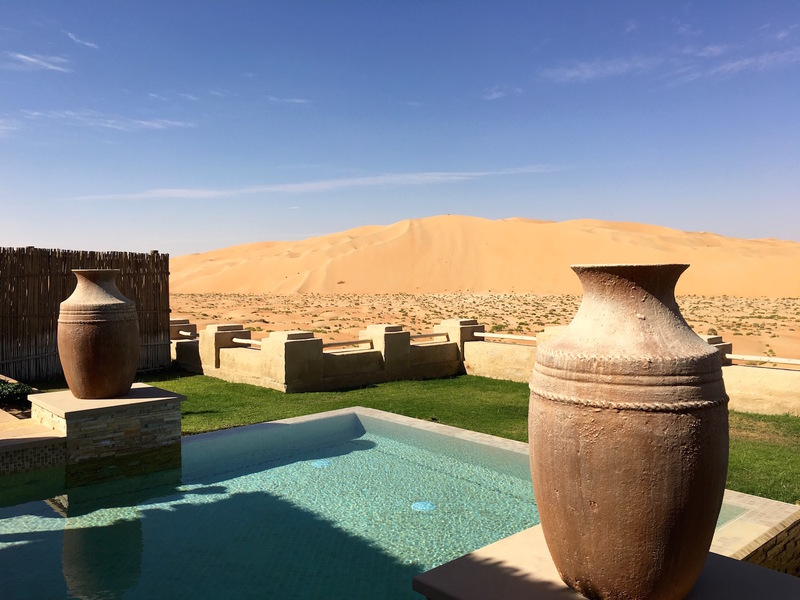 At Qasr al Sarab, Anantara’s crenellated palace in the desert, you can head off on foot, on camel or in 4×4 and, in less than 10 minutes lose sight of any human hand. There is much to marvel at – the shapes, the shadows, the colors, the striations, the wind ripples, the salt beds, the dried wadis, the powder texture – and contemplate upon. The Saudi border is less than 5 km away, and yet this is a sea that one crosses only at your own peril. 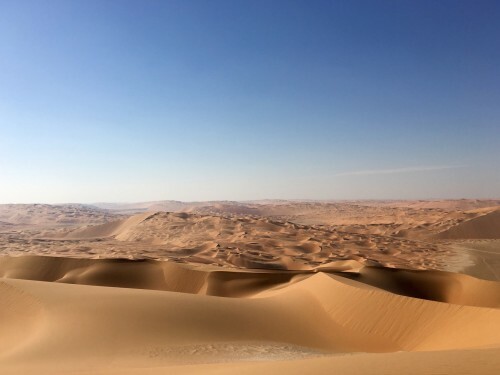 Even the Bedu would only traverse the desert close to edges; the Empty Quarter is beautiful but unforgiving. All of that has changed now, of course. The Bedu and their nomadic life is gone. 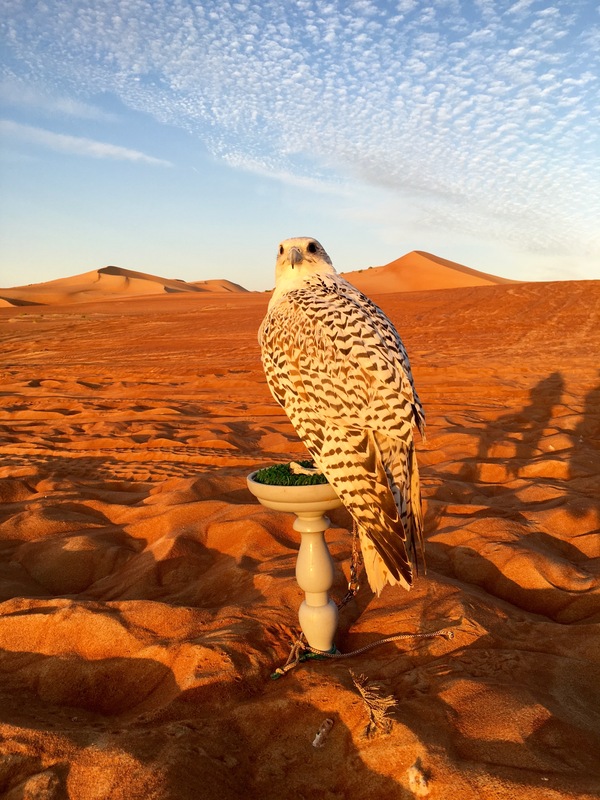 The Empty Quarter and the rest of the Arabian desert is now truly empty.